Love is definitely in the air..... a perfect little gift to share with the one you love. 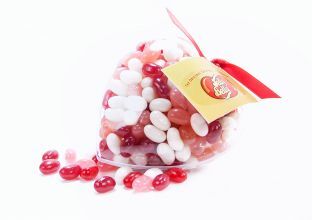 Two sweet clear plexi-glass 'hearts' each filled with a 50g mix of Very Cherry, Cotton Candy & Coconut Jelly Belly jelly beans. We'll nestle them in red shred within our fabulous red heart design gift Ballotin box topped off with a lovely bow and attach any message (optional) on a suitable card all ready for you to hand over to that special person. Easy! Limited quantities, first come first served. ​Cotton Candy beans: Sugar, glucose syrup, modified cornstarch, acidity regulator (E330), flavouring, glazing agents (E901, E903, E904), colours (E100, E162, E171), concentrates of (black carrot, blackcurrant). 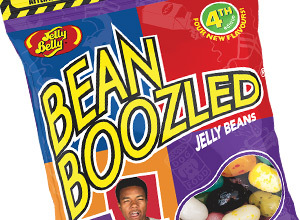 Coconut flavour beans:Sugar, glucose syrup, modified cornstarch, coconut, colour (E171), glazing agents (E901, E903, E904), flavouring. 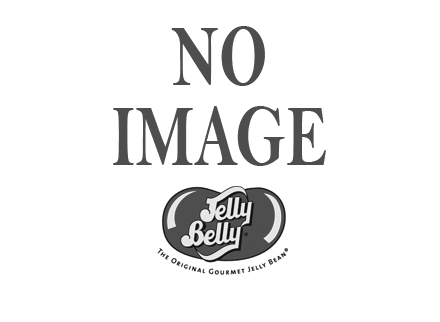 Very Cherry flavour beans:Sugar, glucose syrup, modified cornstarch, cherry juice concentrate, acidity regulator (E330), concentrates of (apple, black carrot, blackcurrant, carrot), flavouring, glazing agents (E901, E903, E904), colours (E100, E171).